Rogerio Salgado-Martins shares with us his thoughts on the 50mm lens, that benchmark standard to which all others are compared and asks us, why is it so? I’ll just jump the historical part of how the 50mm lens got to be the standard of what would be considered to be normal lens. Just go to Wikipedia and they cover it up very nicely. Since I want to propose a different approach to the subject and also discuss why we’ve stuck so long with the narrow 50mm as our normal lens, I’ll go straight to the point. Since I began, like most, I shot with a SLR, soon to buy myself a DSLR. With that kind of camera, I saw through the viewfinder the image reflected by a pentaprism adjusted to show me as true-to-real world dimensional images as long as I had a 50mm lens attached to its body. If you checked the Wikipedia definition, it mentions that the concept of normal lens implies reproduction of a field of view (FOV) the looks natural to the human eye. That not entirely correct. The normal lens is the one that offers the most natural perspective, in the sense of no distortions, like those caused by wide-angles and teles. If we were talking about FOV, certainly the FOV of the 50mm would not be, by far, be “natural”. Soon we’ll approach that. Back to my path (D)SLR and the 50mm: I used this combo for almost four years. But I always felt that what I saw was too narrow. I kelp using it because I liked the fact the once I lifted the camera up to my eye, the viewfinder would show me exactly the proportional view of what my eyes were seeing without the camera. I tried wider lenses with my reflex cameras, but the shock I felt of the image pulling me back, forcing me to readjust, didn’t seem right. Like Bresson said – although I wasn’t aware of the saying by then – I wanted the camera to be an extension of my eye. Why is that? Because the prism was calibrated to consider as normal a 50mm lens. The normal look would only be achieved through that lens. And hence the Wikipedia misleading definition. If only FOV were taken into account, we’d use ultra-wide angles that reach 92º to get close to what we see normally with our eyes. The 50mm lens offers an angle of view of 47º. That’s practically 45º. Considering our eye is able to reach 92º reach, or something like that, side to side, that pretty narrow. Can’t we go wider without losing the natural feel? What has to be considered to establish the idea of “normality” is the diagonal of the film or camera sensor. Each format has its “normal”, it all depends on the size of the diagonal. In the case of 35mm, that is a 43mm diagonal. Hence – a 43mm lens would be the normal lens. 50mm? Pretty far, don’t you think? So, I guess is only fair to say: 50mm is tele. Just plain, simple, tele. The great Oskar made this call of making a tele the normal lens and since forever (D)SLRs are calibrating their prisms around it, when it should be the closest round number available, the obvious choice: 40mm. Some companies use the 40mm. Voigtländer has some nice ones. I have a 40mm equivalent, probably one the best lens I’ve owned, the Panasonic Lumix 20mm f/1.7 for micro 4/3. People call the 40mm the “perfect normal”, not without a reason. 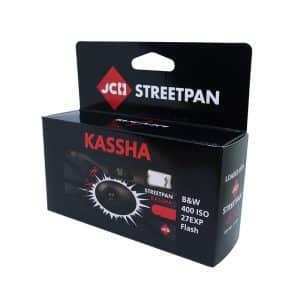 It offers in a full-frame camera 57º of FOV, ten more than the 50mm. It is the perfect natural view with 10º more of FOV. So much for a bad call made a hundred years ago. Why not, then, together with the natural perspective, we do consider the FOV as a criteria when electing the normal lens? There’s no way to reach both ends. But we can get as close as we can to both. With the 50mm, in terms of FOV, we go as far as we can get at both ends. That’s just unbelievably wrong. Comparing to the perfect normal, the 50mm has distortion of +10mm long and 10º less of FOV. It all changed to me when I made the move to a rangefinder camera. Suddenly – now aware of Bresson’s quote – I realized how narrow a 50mm lens looks through a 0.72x magnified viewfinder. It’s not at all natural. It’s a tele. What I want to propose – my whole point of this piece – is that, if a stretch was made to make the 50mm normal, why not consider the 35mm lens the new normal? At least in a rangefinder camera with a 0.72x viewfinder it is. 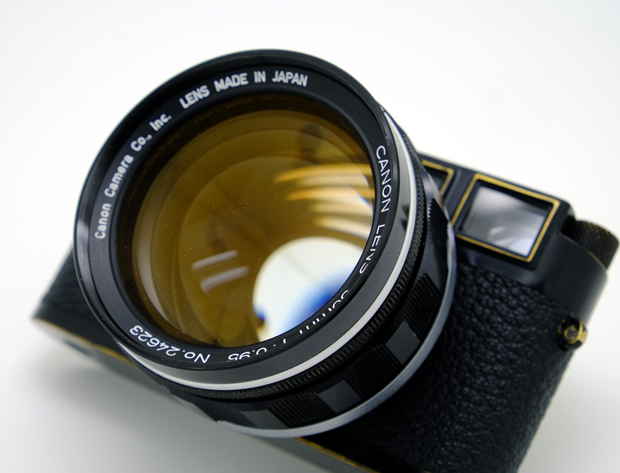 The 35mm lens offers 63º of FOV. That’s 16 more degrees of FOV will get than with a 50mm. Comparing with the diagonal, the 35mm stretches only 1mm more than the 50mm – 5mm if you take in to account the 40mm, the so called perfect normal lens. So, in terms of distortion, they’re in the same boat. The difference is that with the 35mm you’ll get 16º more FOV. Unless you’re really into bokeh, I don’t see how there’s no obvious advantage in this shift of paradigm: we get the same, or better, approach to a natural perspective than the 50mm would offer, considering their relation to the diagonal; and we’ll be a lot closer to the FOV of the human eye. Isn’t that what a normal lens is supposed to be? It’s hard to imagine companies readjusting their DSLR prisms. The simple awareness of this, though, could be considered a beginning – to the fact that, unfortunately, we’re stuck to an arbitrary, misleading and limiting parameter. In the end of the day, we have to settle to the calibration companies set their prisms and finders. Even with rangefinders. 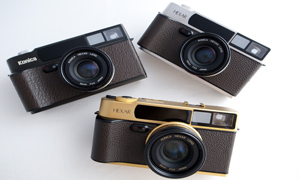 The main difference is that with reflex cameras, since you see through the lens, your adjusting is painful and uncomfortable, while with rangefinders that doesn’t happen. Lastly: I think the best lens is that one you feel better using. I don’t defend the 35mm or think it is the “right one”; actually, I personally prefer wider lenses. So, please, if you love and use the nifty-fifty, don’t take it personally. This is purely a technical debate that has the objective to encourage discussion in our community. I hope you’ve coped with me this far. Thank you for reading! Thanks for sharing this with us Rogerio. Some interesting points there. I would really like to hear what others think of this and what your perspectives are. I personally prefer to shoot 35mm on a Rangefinder, but for an SLR 50mm. I’m struggling to understand what you mean by ‘calibration of the prism’? On a modern DSLR with 100% coverage viewfinder, are you not seeing exactly what the lens sees? How can it be ‘calibrated’ to one focal length? I would also like to add the point, with almost no theoretical knowledge in optics or physics to back me up, that 50mm was most likely the easiest focal length to produce at the time when rangefinders/SLRs came to be. As such it was most likely considered to be ‘the norm’ as it was the ONLY lens available. On the topic of whether it should be considered Tele, that is most certainly a subjective thing. According to the dictionary it means ‘to or at a distance’, in relation to the 50mm lens then i do not consider it to be Tele as it is within my field of view, and not ‘at a distance’. For me Tele is something that i cannot see easily with my own eyes, its difficult to explain but when you look through the viewfinder with an 85mm lens on a DSLR you are seeing things you wouldn’t necessarily see with a 50. I think i read somewhere that, when considering our peripherals, the actual focal length of our eyes is around 18mm, however it never mentioned what is the perceived maximum focal length, for me 50 would seem to be the maximum that i would consider to be a normal viewing angle. What Bellamy says is 50mm is little bit more of ‘tele’ lens compared to the optimal ‘normal’ lens which is 43 something mm focal length. Manufacturers have been concentrating on the development of 50mm lens because it is considered as normal lens in earlier periods and they compared the performance of each makers by determining their 50mm lens quality. 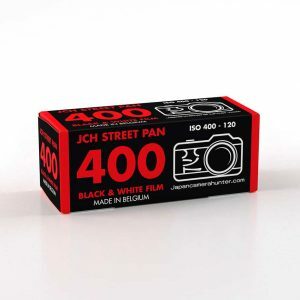 There were huge demand of 50mm lens in the marker due to the perception and, indeed, also the manufacturers were able to sell it cheaper than any other lenses (due to the market size). – In other words, 50mm lens don’t cost cheap to make. You’ve mentioned that the FOV of 18mm is much similar to human eye – this is mostly true and I would like to mention that 20mm is much closer than 18mm (when comparing the FOV of both eyes). What you have to aware is the cameras only have one eye. > On the topic of whether it should be considered Tele, that is most certainly a subjective thing. “telephoto” has a specific, optical definition: it’s a lens that’s physically shorter than its focal length. there several specific optical designs that constitute a telephoto lens. whether or not a 50mm is telephoto is a simple matter of determining whether or not there is a telephoto set of elements. i’m not aware of any that do. the problem is that people say “telephoto” and mean “longer than normal”. but even then, that’s a simple matter to discuss: normal on 135 is 43mm. so 50mm is a longer lens. the only subjective thing is whether or not that’s an important enough difference to group the 50mm with the “effectively normal, close enough in practice” arbitrary grouping of lenses, or not. and most people do. The 50mm is not precisely normal. I cannot differentiate a the difference between lenses between 40mm-60mm on a photograph. Just like I see no difference between the perspective of a 200mm vs a 400mm lens. It’s all a matter of personal taste. 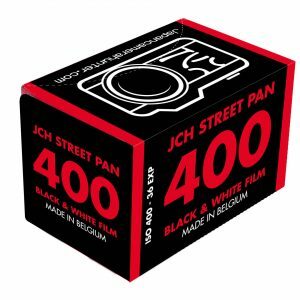 HCB liked the 50mm I suspect that has as much to do with early Leica finders and the speed of the lenses then available* in 50mm as the perspective look the image produces, or the horizontal angle of view, despite his stated dislike of the perspective distortion of teles and wides. I personally prefer the 28mm for character portraits and the 85mm for beauty portraits. 35mm is a good all-round focal length. All this discussion about aesthetics should not ignore the personal connecton between photographer and camera. My left eye is better than my right, so I have a tendency to pre-focus and then shoot with both eyes open. The ideal thing for me is to look with my left eye and use the right to frame. Therefore I sometimes use a Kontur finder with a 50mm lens. With rangefinders, I like to use a focal length that matches the outside of the finder frame. I prefer as close to a 1:1 magnification as possible. For that reason, with SLRs, I sometimes find myself using a 55mm or 58mm lens to give me 1:1 when I shoot with both eyes open. *Referring back to lens speed, lenses that have a focal length close to the frame diagonal have been easier to make with wide apertures. That’s the origin of the fast 50 and why a 50/1.4 or 50/1.8 is often the beginner’s first prime lens and why in the old days a 50mm was usually bundled as a kit lens. > Just like I see no difference between the perspective of a 200mm vs a 400mm lens. …as well you shouldn’t, because perspective is a product of DISTANCE, and not focal length. lenses don’t have perspective. locations do. I think he meant perspective distortion, which is affected by both focal length and distance from subject. NO! Perspective distortion is ONLY a product of camera-to-subject and camera-to-background distance. It has NOTHING to do with focal length. If you shoot a portrait from the same physical subject-to-camera distance with a 200mm lens or with a 20mm lens and crop 10x, the results are IDENTICAL with respect to perspective. The reason you think that focal length matters is that you typically get closer with a wide angle than with a longer lens. But it’s not the focal length that’s altering perspective; it’s he fact that you’re closer. Perhaps I didn’t explain myself clearly enough for you to understand. Consider a head and shoulders portrait. You are framing a vertical subject area of about 60cm in height. If you shoot with a wider lens, that framing will bring you closer and a longer lens will require you to step further back to achieve the same framing. The perspective appearance of a photo therefore presents the viewer with some clues about the positional relationship between the photographer and subject. A wide lens shot close up suggests a closeness, intimacy, or puts the viewer amidst the action. Whereas, a long lens might subconsciously portray an intense gaze from a distance. These visual tools are the language of imagery, a means by which a photographer may tell a story. Consider also the distance at which the image is to be presented to a viewer. Examples include the distance and size of your monitor, the distance at which a photo of a certain size would be held up, how far back one would stand to view a large photo mounted on a wall, or a billboard. Whether I am holding a 12R print, looking at an 18×20, or sitting in front of a monitor, I tend to observe the image taking up an angle of view equivalent to about a 60mm lens on a full frame camera. Note that this distance/ angle preference varies from viewer to viewer. Coincidentally, I find a 58mm lens on a near 100% coverage, 1x magnification finder psychologically ‘comfortable’, both in magnification and framing. It also gives a natural stand-off distance for people photography. A picture taken with a ‘normal’ lens (I’ll include a range of around 40mm to 60mm). doesn’t ‘shout’ about it being taken from close up or far away. That is why HCB chose it as his signature style – he wanted the avoid distracting his viewer from such considerations as how close or far he was from the subject. Nevertheless, technical minutae such as this merit only passing consideration. The best approach is to concentrate on the message, subject and visual presentation and not worry about small concerns like the difference between 43mm and 50mm, or the semantics of technical language. I always thought that with with SLR one has the advantage of adjusting the view to whatever lens is used at the moment. I do not understand the point about calibration of prisms to focal length. With 0.72 rangefinders 35 is natural, but with slrs I never felt any hindrance with other focal lengths. May be the problem is not with calibration, but with the size of the viewfinder? Pro SLRs have bigger finders than consumer ones. Cartier-Bresson’s reason for preferring the 50mm lens had nothing to do with optics per se. His concern was always with compositional geometry: the arrangement of elements of the picture in the frame. He found this was easiest to achieve precisely when using a 50mm lens. He occasionally used a 35mm, but said that because of the wider angle of view there were often too many elements in the frame to get everything in the right places compositionally. I think Rogerio might confuse two separate issues, focal length and viewfinder magnification/coverage. Rogerio is right, for the 35mm format, a 43mm focal length would be the perfectly normal lens. While some may prefer wider angle lenses to lenses going into tele ranges, 50mm is closer to 43mm than 35mm focal length (do the math, it’s easy: 7mm difference to 8mm). Dan made a good point about his disability to recognize the focal length from an exposed frame. It’s very hard to tell the difference between a frame taken with a 35mm lens against a 40mm lens. Or 40mm against a 50mm. But at least to me, I can mostly tell if a frame has been taken with 35mm or 50mm focal length if the frame has enough elements in relation. There are many viable options out there in analog world for people preferring to shoot around 40mm. I own both a Minolta CLE with its Rokkor-M 40mm as well as a Contax G2 with its Zeiss 45mm. The Zeiss is as normal as it gets on 35mm format with only 2mm difference to normal focal length. However, the main issue that Rogerio described around the framing experience is best illustrated with the help of the two camera/lens combinations just mentioned. The Contax G2 with its 45mm lens is as perfectly normal as you can get. 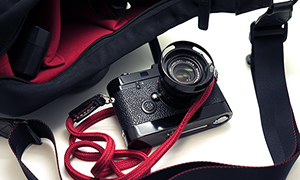 The G2 is an auto-focus rangefinder camera with automatic viewfinder adjustment for the focal length attached. The G2 finder has a coverage of only 90% and with the 45mm lens attached, the viewfinder magnification is only 47%. That is a very very tiny image in front of your eyes compared to what you get when you lower the camera from your face and look at the same scene with your naked eye. The angle covered may be nearly identical, but the shift in magnification can be a big distraction for many. The framing experience does not relate to the focal length used, the limiting factor is the construction of the viewfinder with a very small magnification and a less than 100% coverage. That is easily experienced when looking through the Minolta CLE viewfinder and framing in the 40mm frame lines after using a nearly identical focal length in the G2 viewfinder. The CLE viewfinder covers more than 100% with 40mm frame lines shown at a magnification of 58% which is noticeably better than the 47% magnification and 90% coverage of the Contax G2. 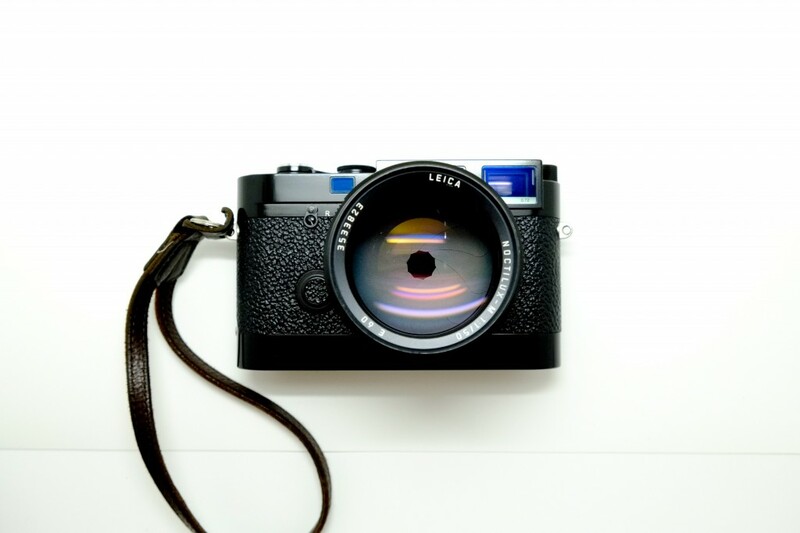 Yet another example to make this point: look through the viewfinder of a Leica M3 using the 50mm frame lines. The M3 sports frame lines for 50mm, 90mm and 135mm. The M3 viewfinder has a magnification of 91% and a coverage greater than 100%. It’s arguably the best viewfinder ever put in any rangefinder camera because of that. When using a 50mm lens on the M3, you can /almost/ switch between your naked eye and framing in the viewfinder and see the same thing in front of you. This has as much to do with focal length as with the viewfinder coverage and magnification. The M3 experience with a non-perfect focal length is better than the experience with the almost perfect focal length lenses on the CLE and G2, because the viewfinder of the M3 is just perfect, especially for 50mm. This makes the M3 one of the best 35mm cameras ever put on the market. The reason SLRs offer odd viewfinder experiences is because most SLRs do not cover 100% of the angle the lens covers, only the best SLRs have a 100% coverage viewfinder. Also, SLR viewfinders have magnification factors as well. 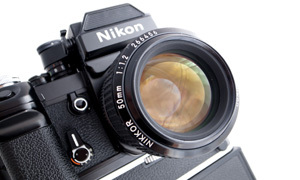 For example, even the Nikon D3X has only a 70% magnification finder. Also, the Canon 5D Mark 3 also features only 71% magnification while the viewfinder covers 100%. For comparison, the classic SLR system I use mostly, Minolta’s XD7/11 feature a viewfinder with 94% coverage and a 87% magnification. The digital SLR I use is the much underrated Olympus E-5 which features a 100% coverage viewfinder with a true magnification of 115%! The main point I am driving here is that when you choose a camera system, the viewfinder is one of the most important aspects of the camera defining your shooting experience. With SLRs, you have more freedom as the viewfinder will match any focal length with the same magnification. With a rangefinder specific focal lengths lend themselves better to a specific magnification – with the exception of the G2 which actually adapts the magnification per attached lens. Many interesting points you made here, Tobias. Thank you. I was aware of the M3 VF and other cameras like my Oly mju that don’t fit into the criteria I discussed. I just wanted to approach the subject into a more broad manner. That last part is a bit harsh, but the point he is making is that when you look at the finished product — that is, a printed photograph — you see this distortion, which he calls “an effect.” What he means, of course, is that it comes off as an “affectation,” something artificial that is designed to impress. And he didn’t like that. Alright, there seems to be a lot of confusion going on with this article so I’d like to make a few factual points and people can draw their own conclusions. 1) A “normal” lens on a 135 format camera is 43mm, as matched to the diagonal of the negative/sensor (as pointed out in the article). 2) The idea behind a “normal” or “standard” lens is that it does not show any of the perspective distortion of wider or longer focal lengths, therefore it appears more “Natural” to the viewer. It doesn’t have anything to do with FOV and is probably one of the most misquoted concepts in photography. 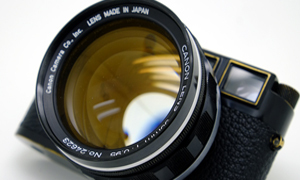 3) Most 50mm lenses do not actually have a focal length of 50mm and are often closer to 46-48mm. 4) The 50mm became the “standard” due to being both economical to produce and relatively “neutral/natural” (see above) in optical character. Shortening the focal length to 40mm or 35mm requires more optical correction in the lens, increasing production cost (and perspective distortion). 5)The Horizontal FOV for a 45mm lens is 43.6°, a single human eye is approx. 95° so to get the closest FOV to a single human eye you would need a 17mm lens which has a FOV of 93.3° (but a huge amount of perspective distortion giving a unnatural appearance to the viewer). 6) A “telephoto lens” is a lens who’s focal length is longer than it’s physical length and simply that. So in this article, it’s being misused. 7) The pentaprism in a SLR/DSLR is there for the sole purpose of flipping the image from the lens right-side-up, they’re not calibrated to specific focal length. 2. Someone, as I said, created the idea of standard. You’re just following a made up concept as is was science. I’m proposing something, using the obvious idea the a standard lens should not only take into account perspective but also FOV. 4. This is relevant for economical reasons. It doesn’t justify the so called scientific criteria of the 50mm as normal. You say that a 40mm lens produces perspective distortion? It seems you’re the one confused here. 5. You simply quoted my article. I don’t defend a human-eye FOV lens. I defend and integration of natural perspective and the maximum possible approach to human eye FOV. You’re just being misleading here. 6. This concept is just so vague. But thanks for helping me out. My Nikkor 50mm 1.4G is 53mm long, so I guess you’re right. when i used slr 25 years ago i had a 35 f2 on my f3 as my normal, the 50 for portrait and 105 as tele. then i switched to a rangefinder (canadian made for those who knows) with a summicron iv gen as my normal and by the way as for bokeh this one is called “king of bokeh” for a good reason. Maybe my brain and my eyes got used to seeing the world with this one and it’s my normality now. When i look at the 50 frame lines in the rf i find it kind of tele but even worst when i look through a slr with a 50 i’m suffocating. well 25 years seeing life unfolding through a 35 can change a man. I was thinking..everyone has a little different field of view depending on eyes and facial shape, and isn’t around a 20mm true fov, depending? But the distortion etc etc.. If you had to replace your eyeball lenses with camera lenses, what focal length would that be? Maybe a better question is if you had to replace one eye lens with a cam lens and look through that, what would be equivalent. Besides eventually we view it on a screen or print or page or in a 3d viewfinder etc, all of which distorts the image. Our brains process what we see in the world around us and compensates and filters real-time but the wonderful camera captures these tiny bits and enables us to look at them later on a 2 dimensional or even artificial 3d plane, which again our brain and mind can register and compensate for assimilate and critique and appreciate, but it will never ever look like what we saw the moment the photograph was taken. 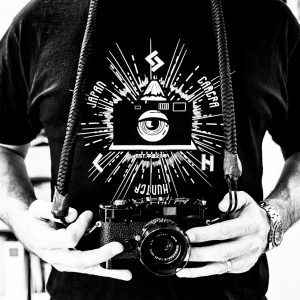 Let’s all just become lomographers! Yippee fisheye and double exposure! I get you, Eleven. Don’t let these mindf*ing discussions get you away from the main thing, which is get out and shoot. Do you thing I bother about this? I do somethimes like to set my mind on things and think about them. But just for a sick sense of fun, let’s put it that way. I personally shoot with 28mm and 21mm (equivalent fov on 35mm) lenses with my Fuji E-X1. 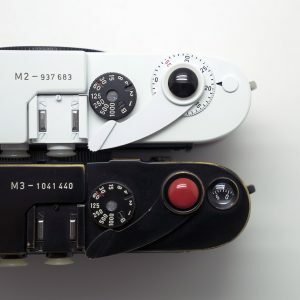 I only use the 35mm Voigt with my M6 because I don’t have the mean$ to buy an 28mm elmarit. My point being: I’m not in the quest for the normal. I’m out there shooting with the lens I like to use. About the lomo and alikes. I couldn’t, personally, deal with the fact with a fixed or much limited exposure. The La Sardena, for instance, has a fixed 1/100 and f8 expuse, which is very limiting. But if you can deal with this, go for it. That camera uses 22mm lens, I love it. The 43mm ltd lens also, the only PENTAXlens that Leica adopt to m-mount. PENTAX is pretty cool huh? Yes, Lee. Aivaras already pointed out earlier this lens by Pentax. I’m unfortunatelly ignorant on Pentax systems, even though a good friend loves it and uses it exclusively. So, about time for me to do my homework and why not try them out! Kudos for Pentax for this lens. And thank you guys for telling me about it. Cheers. Indeed many errors and misconceptions in the original article and in many replies as well. First of all, perspective has nothing to do with focal length or field of view. Perspective means how the different elements in the image relate to each other. That is only decided by the position of the camera. Focal length, and film or sensor size with it, decides the field of view, how much of that field in front of the camera is captured. You can crop an identical image from the middle of a wide angle shot or shoot it with a telephoto. The perspective and everything else is identical, only depth of field is different, much wider with the cropped picture (unless you have a superfast wideangle and stop down the telephoto very much). Any person with at least one functional eye will know that the field of view of human eye is much wider than any so called normal lens in any camera. So it is obviously complete bull to claim that it corresponds to field of human vision somehow. What it does correspond is this: image taken with a ‘normal lens’ (43mm in 35 film terms) and printed ‘normal size’ (about 8×12 from full frame ie not cropped) and viewed at ‘normal distance’ (a bit more than half arms length, ie normal magazine reading distance) will look like the actual subject from the position of the camera. The picture is like wire frame held in front of your eyes. The mirror and prism in an SLR turns the image right side up and left/right correct. The size of those, and the ground glass, decide how much of the image is seen. Some show 100%, most a bit less. This has nothing to do with the lens that you mount in the camera in front of that mirror. Between the prism and the viewers eye there is a magnifier that decides how big the viewed image is. That magnifier can be changed or adjusted making the viewfinder image bigger or smaller. There are even additional magnifiers that can be added behind it to make the image even bigger. There is a limit as too much magnification will not show the full viewfinder image. You can get a 5x magnifier for the middle area for critical closeup focus, for example. The combination of this viewfinder optical system and the lens mounted on the camera will decide the actual magnification factor of the finder image. With some combination it will be 1:1 meaning that the image looks same size as with plain eye. On a Leica R5 for example the 60mm macro gives 1:1 vision so that you can keep both eyes open and the viewfinder image is same size as the world you see from the side of the camera with your other eye. With other cameras you need another focal length. And if you adjust the finder magnification, for diopter correction for example, you need to adjust the focal length a bit as well to retain this 1:1 relationship. Let’s make something clear here. Once and for all. There’s no misconception when I integrate focal length and fov. I propose a new standard of normal. In order to do that, I establish some criteria I consider more beneficial to support my thesis. So there’s no misconception. Misconception refers to the established concept of normal, to which I have no respect. There’s reconception. And here there’s integration of field of view. There a difference between stating what it is taught in film school, photography courses and all that – which I’ve been through – and try to approach and defend a new idea. I’m doing the latter. Well everybody, quite a controversial and subjective topic that about what`s normal angle of view. May I propose a little experiment. Have a look at say comupter screen or a newspaper. Start really close and look at the center. Probably in order to see upper right and lower left corners sharply you`ll have to flick your eyeball (scan the page or screen ) . Now move back gradually until you can see whole screen or page reasonably sharp without moving your eyeballs. In my case it corresponds to more or less 50mm FOV. What do you think? I don’t think so. The sharp field of focus, left to right, up and down, changes with age. People tend to have ‘narrower’ vision as they get older. So it is not universal. When I read text on screen or sheet of paper, I only see the couple of words I am reading as really sharp. But I still ‘see’ or can observe 90 degrees to the left if somebody is running towards me for example, witout moving my eyes from the sharp letters on the page in front of me, unless I am so immersed in my reading that I am oblivious to what is going on around me, and that can include sounds as well. Same with watching pictures in a museum wall, for example. I can only see the one image sharp that I am looking at, that is closer to 200mm or 300mm field of sharp focus across the image, which is what camera gives you. I can see the rough shape and colors of the adjacent images but I cannot read any text in them, for example, without moving my eyes to them. So again, absolutely not 50mm normal. At least my eyes are like 16 mm rectiliner softfocus fisheye lenses with 200mm or so sharp patch in the middle, that can be moved around the overall image by moving the eyeballs. I cannot compare how other’s see. Well, “normality” can also be tought as an artifact. we, humans make toys to play around and we consider these toys as good when they fit to our purposes. just consider this: lenses on cameras are made to get a flat projection of 3D objects on an arbitrarily-sized area (24x36mm or whatever). this in turn has compromises like distortions. on the other hand (or eyeball) the eye is spherical (almost) and the image projected by the optical elements of the eye should fit on a curved surface. what the compromises are i´m not sure but certainly are different. you can also consider the coincidence of the relatively uniform size of people´s eyeballs. if we consider giant squid´s eyes, their lens system is, well, bigger and probably with a different FOV than ours. Oddly enough I am a fan of the 70mm lens (105mm DX equivalent) as a normal lens so where does that put me? I do enjoy shooting 24mm and 28mm as well because of the perspective they offer. 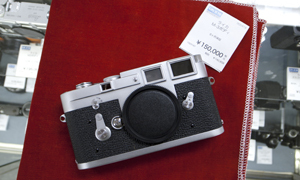 Interestingly, my favorite lens on my Leica M8 is the 35, which, with the 1.3 crop factor, becomes a 45.5 (46). On my Leica MP and M3, I shoot 35 and 50 almost equal amounts of time.